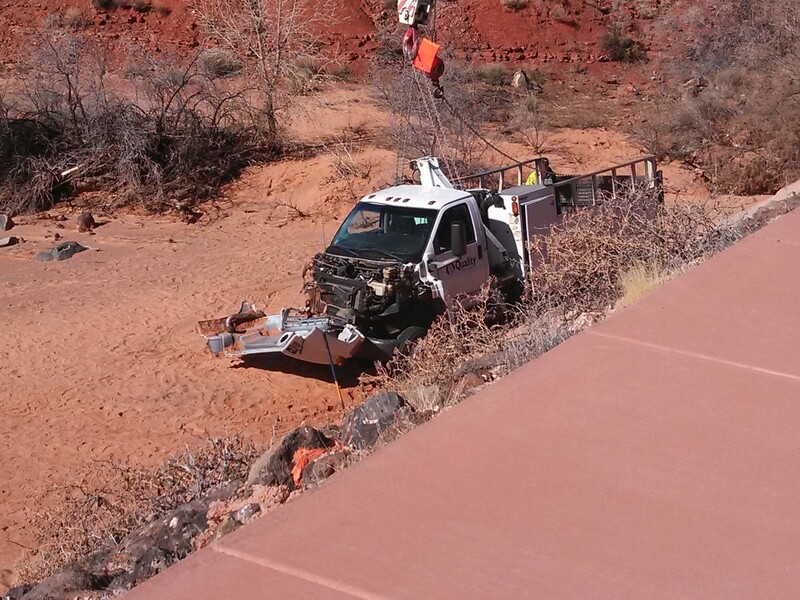 IVINS – A utility truck rollover on Snow Canyon Parkway slowed traffic Monday morning. 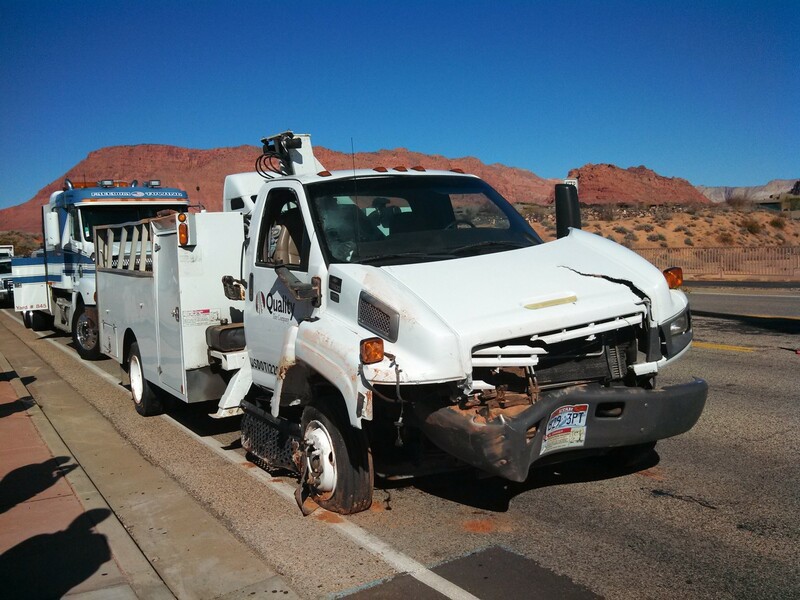 At approximately 8 a.m., the Santa Clara/Ivins Police Department responded to a rollover on Snow Canyon Parkway east of the roundabout leading into Ivins. 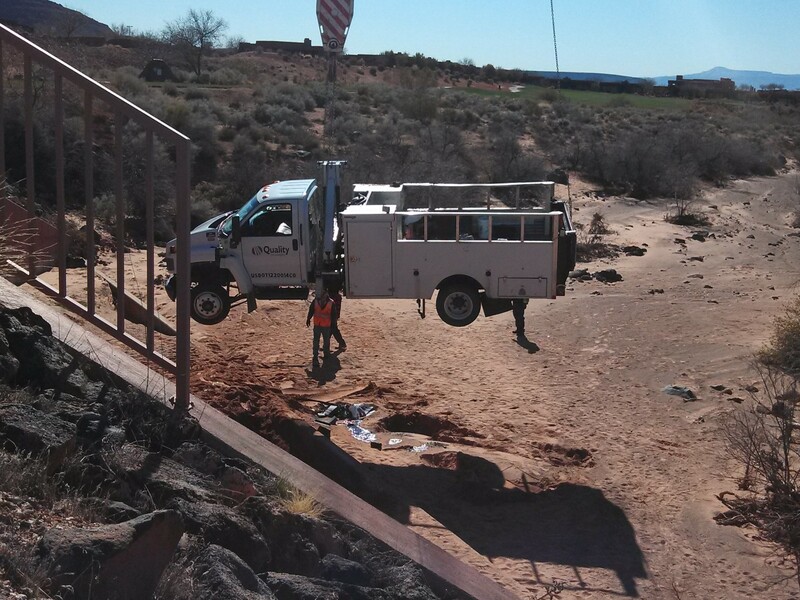 They discovered that a utility truck had somehow jumped the curb and rolled into a nearby wash.
SCIPD Capt. Rich Rodgers said the driver of the truck was unharmed. Rodgers said the likely cause of the accident was distracted driving. The driver was issued a citation. 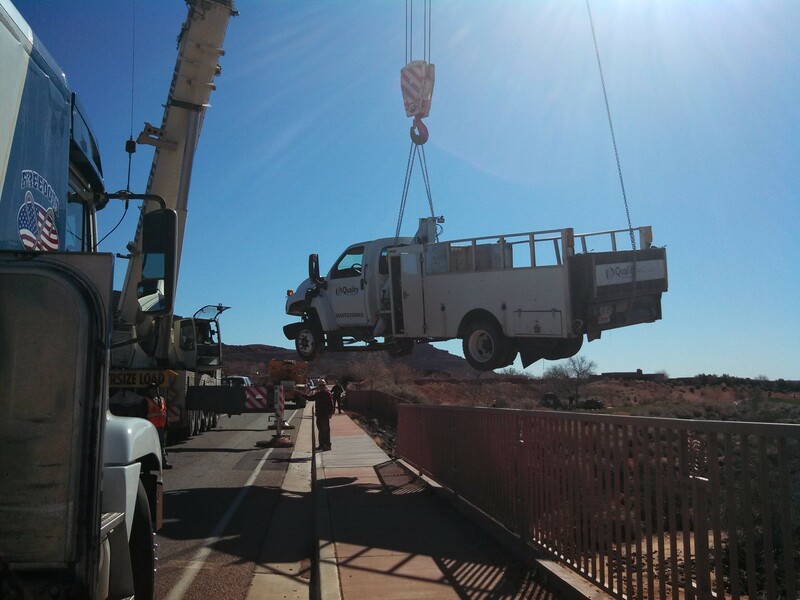 Traffic on Snow Canyon Parkway slowed due to the accident, as well as a crane being brought in to lift the utility truck out of the wash. Members of the Utah Highway Patrol joined SCIPD on scene to help with traffic.